Since the 1980s, as governments have reduced state welfare rhetoric and policy, the proportion of unprotected, “informal” workers has increased. As a result, we have witnessed an unexpected increase in the proportion of the world’s workers who do not receive secure wages or social benefits either from employers or the state. This is not news. In recent years, many scholars and policy makers have highlighted this growing population of unprotected workers, variously calling them “informal”, “precarious”, “casual”, “non-standard”, “Post-Fordist”, and “flexible.” In some cases, these trends are celebrated; in others, they are critiqued. What explains the worldwide increase in informal employment? The most common explanation is that the pressures of increased competition in a globalized and liberalized marketplace have forced firms to decrease costs by relying on unprotected workers. While this is true, it is equally important to remember that informal work is not a product of neoliberalism. Long before the rise of neoliberalism, informal labor comprised a large section of the labor force in the Global South, because they subsidized the minority of formally employed, protected workers that emerged during the industrialization era (in the South and North). Informal workers have long been, and not surprisingly continue to be, a central, structural feature of modern economies. After all, it is informal workers that have and continue to (albeit in increasing numbers) construct our buildings, build our roads, grow and sell fruits and vegetables, clean homes and streets, sew clothes, weld car parts, and make shoes – not to mention the boxes they come in. Perhaps even more significant than the impact of competitive forces under neoliberal globalization is neoliberalism’s impact on altering the politics around informal work. Today, there is an increasing and overt sanctioning of informal labor by the public, by capital and by governments throughout the world. Although informal workers existed before the 1980s, governments and labor movements joined hands (at least in rhetoric) to try to eradicate informal work and to enfold all workers into the protected, regulated sphere. But since the 1980s, as governments throughout the world have liberalized their economies, they have increasingly promoted informal labor, thereby pulling away from the 20th century social contract that labor movements had fought to attain. Employers and states now openly rely on informal workers to sustain modern economies in times of expansion and crisis. According to the ILO (pdf), during the 1980s and 1990s, the growth of the informal workforce coincided with a global economic expansion and a 30 percent growth in world employment. In 2008, when the financial crisis shook the world, media reports predicted that the need for low-cost, flexible informal workers would increase even further. 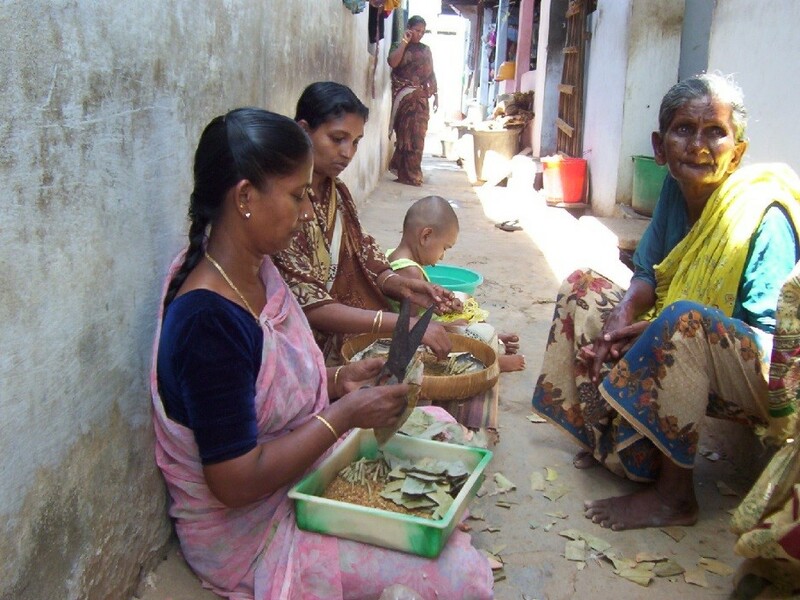 Despite their contribution to contemporary economies, however, informal workers live in dire poverty and insecurity. These trends raise a clear question: what are informal workers doing to improve their livelihoods? Much has been written and said to expose the deplorable working conditions of the world’s growing mass of unprotected workers. Despite the awareness of workers’ increasing vulnerabilities, however, shockingly little is known about the alternative forms of social movements informal workers may be launching to improve their conditions. In fact, it is often assumed that informal workers are unable to organize given the structures of informal production and the growing popularity of decreased state intervention. 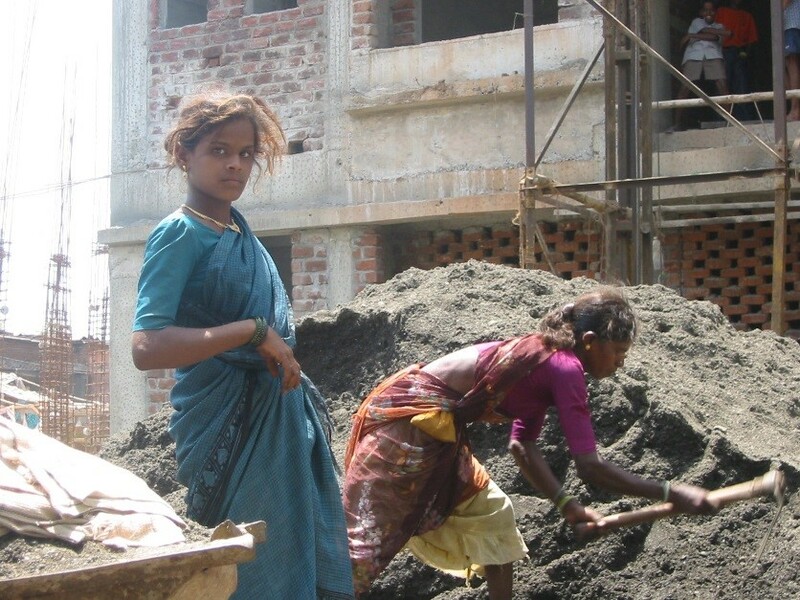 In my new book, Informal Labor, Formal Politics and Dignified Discontent in India (Cambridge), I examine workers’ political reactions to recent circumstances in India, where 93 percent of the labor force is informally employed. In terms of numbers, informal workers in India are not marginal: they represent the great majority of the workforce outside the formal union sector. To examine informal workers’ politics and their interactions with the state, I combine a comparative analysis across three Indian states operating under different political parties with an ethnography of informal workers in the construction and tobacco industries. In part, the scholarship on informal workers’ politics has been restricted by the limited data on informal workers in general, and on their politics in particular. To address this issue, I conducted over 300 in-depth interviews with members and leaders of informal workers’ organizations and government officials. In addition, I analyzed India’s 1999 and 2004 National Sample Survey on Employment and Unemployment, which counted informal workers for the first time and included a question on formal and informal workers’ trade union membership. The evidence presented in the book not only gives voice to the largely invisible informal workforce, but it also lends weight to the power of discursive politics in the contemporary era. Contrary to recent assertions of the demise of workers’ movements under globalization, I document an innovative and unexpected attempt by the world’s most vulnerable workers to challenge recent state policies by launching an alternative social movement for workers. 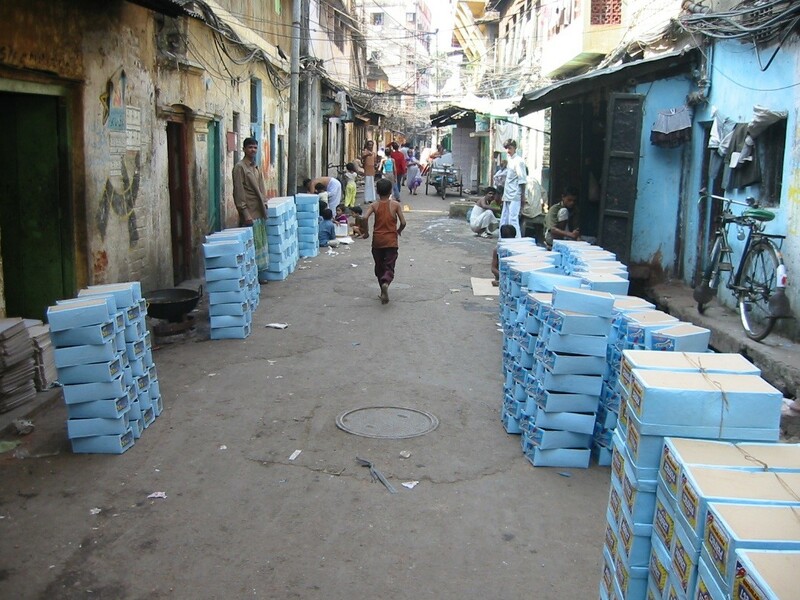 Rather than fighting flexible production structures and demanding traditional work benefits (such as minimum wages and job security) from employers, Indian informal workers are using their power as voters to demand state responsibility for their social consumption or reproductive needs (such as education, housing, and healthcare). In other words, despite neoliberal attempts to minimize state intervention in the economy, informal workers are holding the state – the one actor who cannot escape – responsible for their welfare. As a result of this strategy, which relies on an innovative tri-partite institution called “Welfare Boards,” unregulated, informal workers are ironically pulling the state into playing an even more central role than it did in formal workers’ movements. Moreover, informal workers are forging a new class identity that connects them to the state through their social consumption needs and attains state recognition for their work, even in the absence of formal employer recognition. To attain the attention of elected state politicians, informal workers utilize a rhetoric of citizenship – rather than labor – rights and offer political support in return for state recognition of their work. To mobilize the dispersed, unprotected workforce without disrupting production, informal workers are organizing at the neighborhood level, rather than the shop floor. That these findings emerge from India lend important insights into how recent changes in the relationship between state and informal workers are yielding an alternative model of development. But an important question remains: under what conditions do these movements succeed (or fail)? I find these alternative labor movements are most successful when operating under populist party leaders who support economic liberalization, and least successful when operating under programmatic leaders who resist economic liberalization, including those tied to left-wing, communist parties. Populism gives informal workers an opportunity to appeal to politicians’ desire to stay in power by offering their (claimed) access to a unified, mass vote bank. Liberalization efforts give informal workers the opportunity to frame themselves as key pegs in the state’s economic agenda of flexible production. Informal workers who capitalize on these conditions are able to offer their political and economic support in return for state-provided welfare benefits. These findings explain why informal workers’ new strategies have led to state-supported benefits for some workers, despite the rhetoric of declining welfare spending throughout India. My findings suggest an important flag of caution—populism appears to be replacing the traditional left in terms of attracting support from underprivileged populations. On one hand, we do (and should) celebrate workers’ resilient ability to bolster their status as claim makers and assert new pathways to social legitimacy and dignity. As E.P. Thompson famously reminded us: no matter the structural context, workers are always organizeable. In light of the contemporary focus on social movements and interest group-politics, we must remember to include workers. Informal workers’ contemporary movements are an exact instance of social movements sharing performances with industrial conflict, electoral campaigns, and interest group politics. On the other hand, our celebrations must not be blind to the conditions under which these organizations succeed. In India, the emerging contract between informal workers and the state does not alter the very structures that created workers’ vulnerability and discontent in the first place. Rather, it enables the elected leaders of the world’s largest democracy to meet social justice demands by employing populist tactics, while subsidizing capital accumulation under a veneer of liberal, free-market policies. Going forward, we must pay much closer attention to the nature of workers’ collective action struggles, the future role of the left, and the potential role that populism has in addressing social welfare in democratic contexts. Rina Agarwala is Associate Professor of Sociology at Johns Hopkins University. Her new book, Informal Labor, Formal Politics and Dignified Discontent in India (2013) is published by Cambridge University Press.